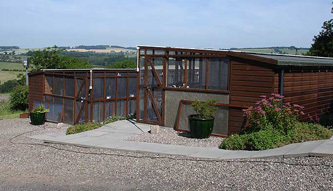 Our cattery is a small, family run concern and we share our home with pet cats of our own, as well as a couple of friendly dogs. 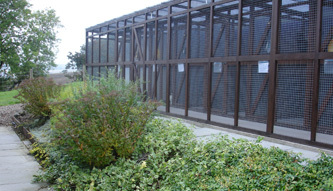 We have owned and cared for animals most of our lives and have a wealth of experience between us in caring for animals in general, and many years experience in looking after cats in our cattery. 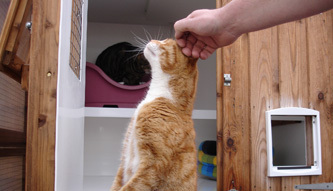 Derek carries out the day to day tasks around the cattery, meeting customers and their cats. He enjoys getting to know each cat and their individual habits so he can ensure their stay is more comfortable and that their personal tastes are catered for. Morag is responsible for administration and giving medication but also enjoys getting to know the feline guests. Susan lives locally and helps out on a part time basis during our busy spells. As members of International Cat Care we keep up to date with the latest feline veterinary knowledge and cattery management procedures. 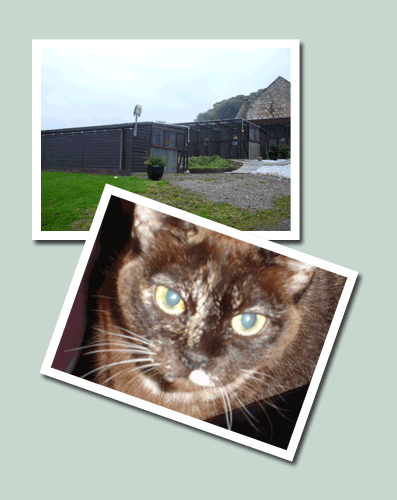 In addition, Morag has studied Feline Behaviour and Animal Reiki so is always happy to give help and advice where possible.